Worrying signs of devalued ballot value in the American Democracy as their to many disfranchised voters, PACs holds on campaign funds and the Corporate Media hold on message sent to the Citizens. Just as the Primaries in the United States are winding down and getting closer to the Conventions of the Democratic Party and the Republic Party. The main candidates and Presidential Candidates have soon been selected and gotten picked through the mixed of ballots and the caucuses differing how the Primary Elections in the states was done. I am not an American and can only see it as an outsider and with the view as an outsider has. To listen to the American TV reporters on FOX, MCNBC and NBC makes a European shake. The TYT is some positive, but still shows the fragmented media landscape that have been created in United States. As the grand corporate media is loyal to a certain party or a certain candidate; much like the state media houses are for their ruling parties in LDC. So the FOX channel follows and hates anything from the Democratic Party even if the person initially acts and votes similar to the Republic Party. That is the irony. The same with certain “liberal” media who follows the Democratic Party by any means and blackballs the Republican by any means. As the Progressive and the liberal are supposed to be on the Democratic side, and the conservative side is on the Republic side. The Parties have big sides and the range of political spectrum could initial be based into four parties as the suction between all the areas and range should be concern as the Presidential candidate cannot be like a Tea-Party General and at the same time be affiliated with the establishment when it comes to certain policies. That means of actions from a Tea-Party member should be different then the Conservative party member! The Same is in the Democratic Party the establishment of the this party is more moderate and clear-faced close to the conservative establishment of the Republican. The Moderate in the party believes for instance in the sense like lax-taxation and the government institutions as small-corporate friendly environment for the 1 % instead of 99 %. While the Progressive are more on the line of Bernie Sanders and wants the taxation on the rich corporation and have labor right for the workers. So the Sanders line is far from the moderate part of his party. Still they both belong to the Democratic Party. That is what initially makes the American a rare venue of political discourse. The Political discourse and the view on political aspects are in view concoction of corporate media, losing old papers who was the ones setting the agenda and is now not as big as before and the new media as TYT, Huffington Post and Buzzfeed changes how the political news get spread and questioned. As the radios and local broadcasters do not have the only venue and the corporate media is not the only place. Even live feeds on Youtube gives the voters more access to other sources then the ones supported by the giant multinationals who wants to decide and continue in the same level as of recent as it is profitable to keep it that way. The other thing that is special about the American Politics are the level of money that the candidates needs to raise, the amount of adverts in the media and how much they matter; that together with the presence how the Super-PACs matters in the campaigns for either senators, representatives and also Presidential Candidates. PAC stands for Public Action Committee (PAC) where they pool funds and collectively works to enhance a campaign for a certain candidate or political idea. They are not supposed to be directly connected with a Candidate up-for nomination or for a State Senator who needs ads and commercial space for their “Message”. The PAC can run to donors and financial beneficiaries that will give to the PAC as a calculation on how they can be “puppets” or necessary persons to get the legislation that the corporations who funds the PAC need. So the business has the opportunity to “own” candidates and nominations instead of the ones that are there in public confidence. That is something that make the American system lacking democratic values as the cash cows and the cash hungry campaigning endorse the idea of corporations funded candidates instead of the party funded and the people funded through this PACs. Therefore the American democracy is very corporate. The American media that are connected to certain Political Parties and even endorse certain candidates are embedded with the ones that give highest ratings and can keep the legislation in positive favor of the stakeholders and owners of the corporate media. Not the ones that are there for the middle-America or the middle-class, working-class or any other class then the owners of the Multinational corporations or Wall-Marts of America instead citizens. That is why I am little skeptical to the American Democracy. The value of the vote is less there as the system is built around the corporations and the money train. As of now it is. The ones with wealth, the ability to gain amounts of funds and collect delegates in the inner-party elections get to be the Presidential Candidate for their party. The Positive is the political range in the Democratic and Republican parties as the public can find their different candidate inside their parties. So as an outsider I am worried and does not like with what I talked about when it comes to democratic values that the money fueled and cash registered American democracy is supposed to be the greatest and the one to aspire to. That in mind as the American Government condemns and explains their values whenever a foreign government holds an election and they are a “stakeholder” in it or support the government there. Certainly with the values of respecting the ballot and having systems that certainly transparent and securing the vote. As the American Government have had the hanging chad and the electronic malfunction of Florida that helped George W. Bush into power in 2000. That is not the only one issue coming with the ballots loss of value in recent times. Not the delegate system of primaries. I will speak about the election laws. The Election laws are made to make it harder to register as voter, shorter time and if your felon or former-felon in certain states is impossible to become a voter again. We know that their groups of people who have become disfranchised by the directives and laws. Certainly this deficiency and also fear for ghost-voters make it harder to get voter-ID then getting license at the DMV in some states. If it is easier to get license to ride their Buick in Texas then getting to vote, then there something missing. Certainly something missing in the so-called democratic state in question; I just mentioned Texas the laws might be worse in Utah for all I know. The main subject is the voters and the ballot should get respect. The Delegate in convention should follow the voters as much as the votes follow the registered ones in the tally; so the ones with the most votes in Indiana should become the Indiana Senator or Representative in Congress and Capitol Hill. That is the same if they are independent, Democratic or Republican. But why does this matter, it is a principal. That in a democracy the votes should equally matter and the voice of the men and woman who are parts of the civic duty does it in good-faith of dropping their vote and delivering a just change or keeping status quo after their own fate in the government system and picking the right candidate to do so. If the candidate fails in their tenure or term, then the voter can through ballot pick somebody else and change guards of the democracy. The issues with election laws that disenfranchise people, when the corporations of the media spreads certain message and ideas swallows the minds and the grand idea of the free speech and level playing-field together with the monies used and needed to campaign. Gives the race and campaigning for the Presidency and the Senators’/Representatives addicted to the donors and funders of their campaigns instead of the confidence of their citizens. And if that is the way and the corporate policy of the American Dream, if that is the vision that the forefathers of the American Democracy wanted for their American Centaury and the American ideals. That cannot be what the men and woman who fought against the British and wanted to be free nation for the settlers. As they wanted to be free to build their own nation in the vision of their citizens not in the vision of GM, Doritos, AIG, Warner Brothers, AT&T and American Express. I don’t believe that the American Government and the citizens who picks the ones that votes for the ones that represent them; that it was built for the corporate citizens for the corporations and to serve the Limited Liability Company (LLC). I thought the American Government and the ideals of their democratic values was built for the citizens and not to fit the corporate agenda and their needed heads-up to get their bills through congress either by lobby-money or PACs to secure the right Candidates in the Senate. Peace. The election in Florida in year of 2000 – What did Governor Jeb Bush do? Remember back in the old days when I was watching national-TV and reading tabloid papers. This is all back to the year of 2000. Which is already 15 years ago, there has happen a lot in that time. Still much is the same. This here will be a reminder on a certain person and his brother place in an election that got George W. Bush elected for the first time as president in the United States. His actions as a brother Jeb Bush as a governor of Florida gave way to the then new president. With certain affirmative actions and choices gave George W. Bush and edge over democratic candidate Al Gore. This also lead to his fall and him ending up making an environmental documentary feed himself. 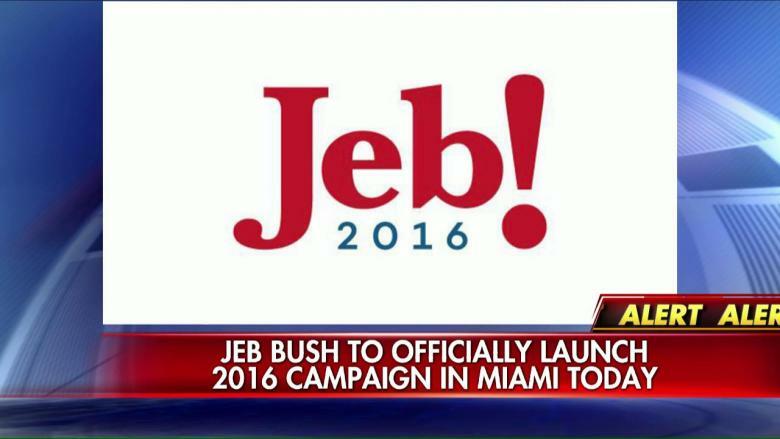 So what did Governor Jeb Bush do? Why do I write about this today? What haven’t I written about it before? For a reason, it hasn’t been necessary to address it. Krosnick said this: “Bush’s placement at the top of all Florida ballots almost certainly allowed him to win that state, given the closeness of the contest” (…) “George W. received an electoral boost by the fact that a Republican – his brother Jeb – is governor”(Research, 2000). “Between May 1999 and Election Day 2000, two Florida secretaries of state–Sandra Mortham and Katherine Harris, both protegees of Governor Jeb Bush–ordered 57,700 “exfelons,” who are prohibited from voting by state law, to be removed from voter rolls. (In the thirty-five states where former felons can vote, roughly 90 percent vote Democratic.) A portion of the list, which was compiled for Florida by DBT Online, can be seen for the first time here; DBT, a company now owned by ChoicePoint of Atlanta, was paid $ 4.3 million for its work, replacing a finn that charged $ 5,700 per year for the same service” (…) “, Florida’s Supreme Court had twice ordered the state not to do so, just months before the voter purge. Nevertheless, at least 2,873 voters were wrongly removed, a purge authorized by a September 18, 2000, letter to counties from Governor Bush’s clemency office. On February 23, 2001, days after the U.S. Commission on Civil Rights began investigating the matter, Bush’s office issued a new letter allowing these persons to vote; no copies of the earlier letter could be found in the clemency office or on its computers” (Palast, 2002). – The technical managers at Diebold Election Systems considered it a reasonable possibility that the second card was part of deliberate conspiracy to rig the election results” (Thompson, 2003). “If the Palm Beach ballot had been subjected to the usability testing that most commercial software now undergoes (or, at least, should undergo), the problem would have been detected. With only 550,000 registered voters in Palm Beach County, an astonishing 19,000 ballots were eliminated for having been double-punched. Assuming a roughly 60 percent turnout, that represents an astonishing rejection rate of six percent. And that’s not even counting the statistically suspicious counted vote of 3,000-plus for Pat Buchanan” (Trachtenberg, 2000). Furthermore: “The Florida Supreme Court ordered only a recount of so-called “undervotes,” about 62,000 ballots where voting machines didn’t detect any vote for a presidential candidate” (Factcheck, 2008). Even more ballots was played around with: “According to unofficial tallies, 1,547 overseas absentee ballots — about 40 percent of the total Florida received — were thrown out by county elections workers, mostly because they lacked either a date or a signature, or in some cases because they were not filed by registered voters” (Dougherty, 2000). The problem wasn’t gone by next election in 2004: “Florida undertook a similar purge of voter rolls in 2000, but that list was shown to include the names of many who were not felons. The new effort at such a purge, begun by Governor Bush’s administration in May, was supposed to be free of those problems. But after a state judge last week ordered the release of the current list, it became clear that thousands of felons who had been granted clemency were still on it” (Fessenden, 2004). With all this evidence of rigging the 2000 election in favor of his brother George W. Bush, we can all ask ourselves, do the GOP or the Republican Party live with it? This is the start of the preliminary election in the USA. Where the parties try out and see which candidate who has most traction and also in the public eye and has the x-factor to become the next president. The numbers are staggering considering the actual voting numbers in certain counties that has lost their ability to vote in that election of 2000. When knowing that the voters in these counties would by big reckoning vote for the Democratic candidate Al Gore. So that the result got so marginal after second round voting and needing of supreme court to accept the result. This is something a big democratic nation shouldn’t do. The way the technical issues, the double ticking off and unreasonable numbers of voters shunned for elections should be warning sides. Set off an alarm. That Jeb Bush the governor of Florida with help of his helpers. The candidacy of his brother got a first place on the ballot. Secondly many voters and counties where they dominantly vote for democrats lost bases of voters because of Ex-Felon laws, even if many of these voters apparently wasn’t really felons. So with this helping hand he led us and the world into the second Bush era. That gave us Britney Spears and the whole shebang – George W. Bush president of USA. Thanks to his brother Jeb Bush and Florida Voting laws. Also were the modern day election-technology and this memory-card-scandal that discarded many voters because they got cleaned or the numbers and then didn’t add up. Some even claimed that the second memory-card had other voting numbers that was prepared and rigged. If that is so: then it’s even worse than discarding, but actually fraud. This wasn’t an election to get George W. Bush to become class-president or prom-king. Here is about the state that would seal the faith of him or Al Gore. That was played out because of family affairs. Also how Jeb Bush had chosen any kind of method to get his brother to win in his state. If people forget this and all the valuable information from this time then GOP should pick another man to be their presidential candidate. That is if they are wise. If they want a man the world will trust, it will not Jeb Bush. Because of his track record even if it is 15 years ago. It stills a reminder of how you can use any kind of tools to hit the dry-wall and get the result you wish. So let’s hope that this reminder is put into action in a real way. Credibility is a fickle thing and the public usually forget. Hope somebody else then me remembers this scandal. Peace.